Nike Is Bringing Back the '90s Sneakers That "Changed the Game"
The '90s are officially here to stay. First, Steve Madden brought back its cult slides from the decade, and now Nike is resurrecting a classic '90s sneaker style: the Air Shake Ndestrukt ($140). Launching on Saturday, July 1, the unique shoes feature lacing on the sides rather than down the middle—how inventive is that? The product description explains them best: "Back in the heyday of the 90s, the Air Shake Ndestrukt changed the game with its bold look and unique lacing set up. Now the tough-as-nails silhouette and blacktop-hungry outsole is back in a pristine white mono colorway." Are these shoes on your short list? 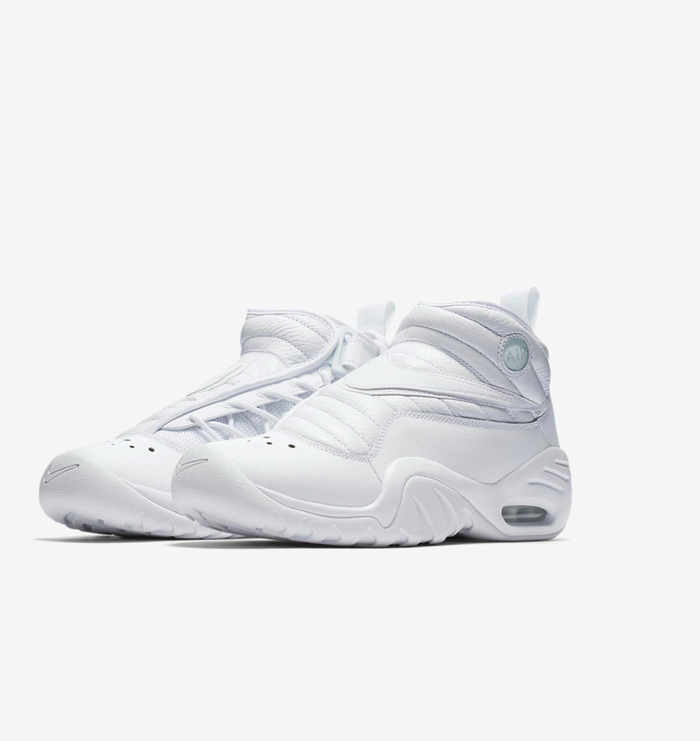 Scroll down to see the sneakers Nike is bringing back from the '90s.